New Year is only one step ahead. In welcoming it, the IT world doesn’t want to miss the momentum by releasing the update of some applications or servers. The notable database management system, SQL Server is about to release its 2019 version. SQL Server 2019 is already publicly previewed on September 24, 2018. For your information, the latest version is supplied with new and improved features. SQL Server 2019 offers a more appropriate optimization. Later on, these features are beneficial for the growth of your business. Do you want to know the new features introduced in this server? Please stay tune! 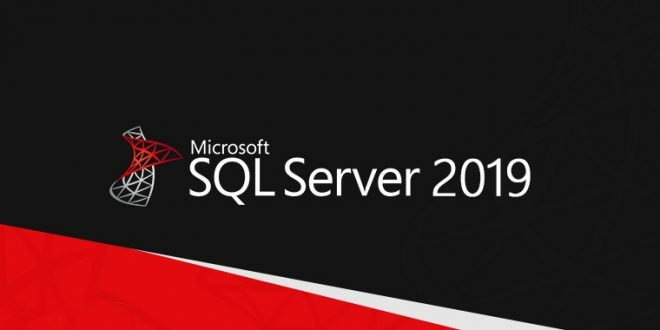 On September 24, 2018, a public technological preview was held to introduce SQL Server 2019. The technological preview aims to demonstrate the features of server. In this technological preview, some features are tested. From this test, some features are evaluated and being fixed. The preview session also aims to ensure that the features of SQL in addition, SQL server 2019 is well-prepared before it is being released publicly. The improved version of this server is equipped with much better improvements to help you growing your enterprise. So, how can SQL Server 2019 become a game changer for data computation? The 2019 version is supplied with clusters to ease the big data deployment. The clusters provided include SQL, Spark, and HDFS. Well, these clusters help you to run your data in a smooth way. With the help of Spark, you will be able to engage the Artificial Intelligence in data operational. Besides, you can also perform an analytics in an advanced way. In SQL Server 2019, the database is supported by UTF-8. This kind of support provides you the easiness in migrating and processing the big data. You can classify the data handily because the base is attached directly to SQL Server. This one also contains features that are existed in the previous version, such as AlwaysOn Availability and Always Encrypted. The updated SQL Server has a SSL/TLS certificate to ensure its security. This improved version has unified the certificate with the server. By the existence of this certification, the big data will be secured and you will get an extra peace-of-mind. Lastly, the server is equipped with Azure Data Studio to help you developing the data. You will be able to manage the data in a more improved environment. It provides a well-visualized data to track your business’ growth as well. Moreover, you will be able to customize the interface. A program must be updated in order to adapt with the technology development and human’s demand. The updated program can give the users more benefits. Furthermore, the users are able to feel a well-optimized experience in using the program. SQL Server 2019 is supported with features that can improve user’s experience in using this server. In addition, SQL Server 2019 is really beneficial for your business’ growth. In short, please welcome the game changer for data computation, SQL Server 2019.